Classes start at 1 pm. and go to 5 pm. and then two to three days later we meet to cut the bars. 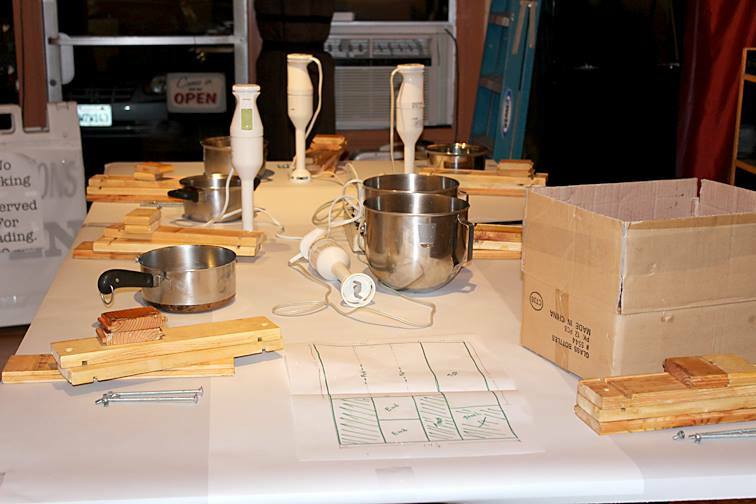 The discussion will include the tools needed, chemistry of soap making, the environmental impacts and importance of fair trade, deforestation free ingredients that have not harmed wildlife habitat. (The palm oil Garimo uses has scored as the worlds most responsibly produced palm oil by Greenpeace) In Garimo's studio we do not use synthetic fragrances or colorants. After the soap making introduction, Garimo will make a batch of soap while students watch... and then everyone makes a batch of soap. 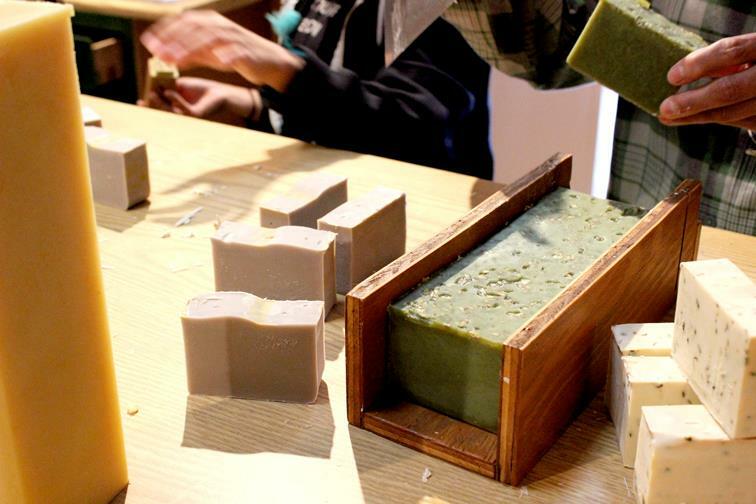 When all is said and done, each student ends up with around 10 or 11 bars of soap made with organic oils and natural ingredients. Garimo will provide all the materials and supplies, you just need to wear something you won't mind getting a spot of oil on... not that you will, but you could. Soaps need to dry & cure for 3 to 4 weeks before use after cutting bars. You're welcome to attend more than one class. Also if you want to get a group of friends and take the class together we can scheduel a class. Email Garimo's Soap Studio and we can talk. Here are the paypal buttons that will cover the $35 non-refundable deposit for a space in the class. Select the payment button for the class date you wish to enroll in. The remaining balance will be due on the day of the class. Class sizes are limited to six students or parent/child teams. If for some reason you are unable to attend, I'll work with you to fill the space, and transfer the deposit if someone wishes to take the space, but will need 5 days advance notice. Class fee is $95. Please save your receipt sent by PayPal and mark your calender. I can't remind everyone of their class day.